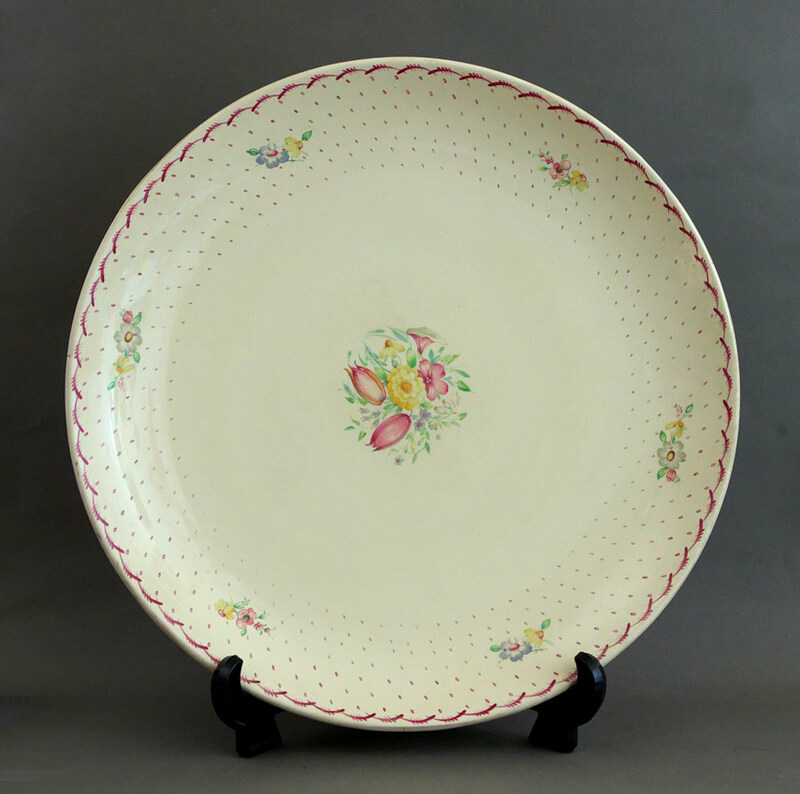 A large 1930’s Susie Cooper pottery charger. Made at the Crown Works, Burslem, England in the ‘Art Deco’ ‘Red Printemps’ pattern. Signed ‘A Susie Cooper Production’ with red printed factory marks.